Thousands of Pradaxa lawsuits have been filed on behalf of patients who allegedly suffered dangerous episodes of uncontrollable internal bleeding while using this medication. In May 2014, Boehringer Ingelheim agreed to fund a $650 million Pradaxa settlement to resolve many of those claims. Are You Eligible to File a Pradaxa Lawsuit? To learn whether or not you might be eligible for compensation, please contact our legal staff today by calling (888) 994-5118. When Pradaxa was approved in October 2010, it was intended as a major improvement over warfarin, a blood thinner that has been on the market for decades. Marketing materials for the medication promised that Pradaxa patients would not have to follow dietary restrictions or undergo regular blood monitoring, both of which are required with the use of warfarin. However, until October 2015, there was no approved antidote to reverse internal bleeding that sometimes occurs with Pradaxa use. As such, even a minor trauma – such as a bump on the head – could become a serious or fatal event for a Pradaxa patient. By contrast, internal bleeding associated with warfarin can be stopped via the administration of vitamin K.
May 2012: The Institute of Safe Medication Practices (ISMP) reported that Pradaxa was linked to more deaths and injuries in 2011 than any of the 800 other drugs it reviewed. May 2014: Boehringer Ingelheim agrees to pay $650 million to settle Pradaxa lawsuits. 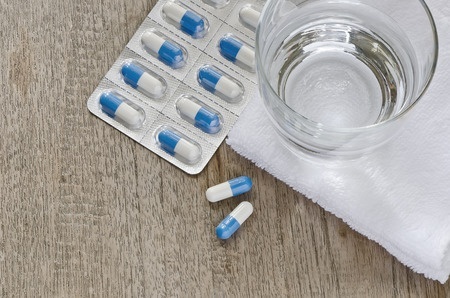 The proposed Pradaxa settlement could resolve more than 2,500 cases pending in a federal litigation underway in Illinois, as well as an additional 1,500 cases filed in state courts in Illinois, Connecticut, California and Delaware. August 2012: A multidistrict litigation is established for all federally-filed Pradaxa bleeding cases. Per an Initial Transfer Order dated August 8, 2012, the new litigation will be located in the U.S. District Court, Southern District of Illinois. All of the Pradaxa lawsuits included in the centralized proceeding were filed on behalf of patients who allegedly experienced dangerous episodes of internal bleeding while using the medication. They further allege that the drug’s manufacturer failed to provide patients with proper warnings regarding these risks, including the lack an antidote to reverse Pradaxa’s anticoagulant effects. Bernstein Liebhard LLP continues to offer free legal consults to individuals who may have been harmed due to Pradaxa bleeding. To learn more about your legal rights, please call (888) 994-5118.